Students’ capacity for self-regulation is central to the set of outcomes that compose college and career readiness: communicating and collaborating effectively, problem solving, setting goals and following through on them, and applying knowledge in deep and rigorous ways. 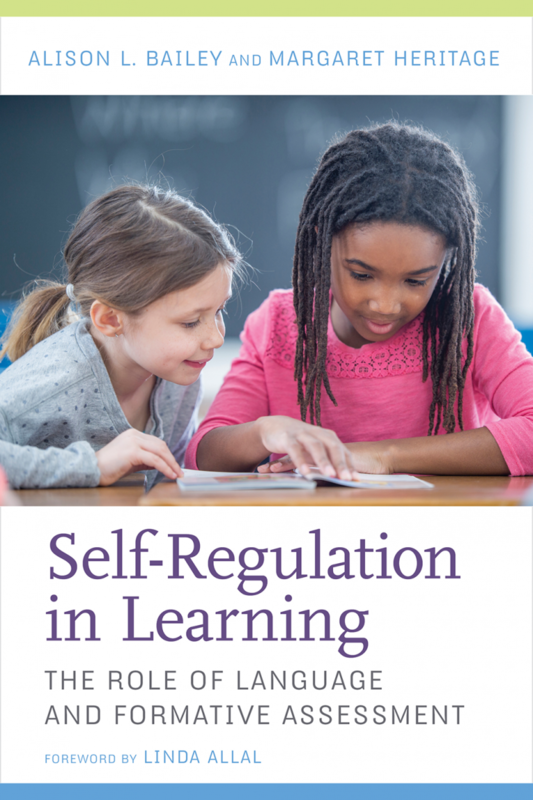 In Self-Regulation in Learning, Alison L. Bailey and WestEd’s Margaret Heritage illustrate how to help students become more self-regulated learners — that is, able to monitor and take charge of their own learning when working independently and with their peers in groups. Language provides the foundation for the development of self-regulatory skills, enabling students to express themselves and negotiate interactions with others; the demands of these self-regulatory processes in turn can support the development of rich vocabulary and social language skills. The authors also emphasize the role of formative assessment as a means of supporting students in engaging in language-rich, self-regulated learning. The book describes how classrooms can be intentionally designed to support ambitious learning. Detailed vignettes from real-life classrooms illustrate the teacher’s role in helping students gradually master the processes of self-regulation, socially shared regulation, and co‑regulation. 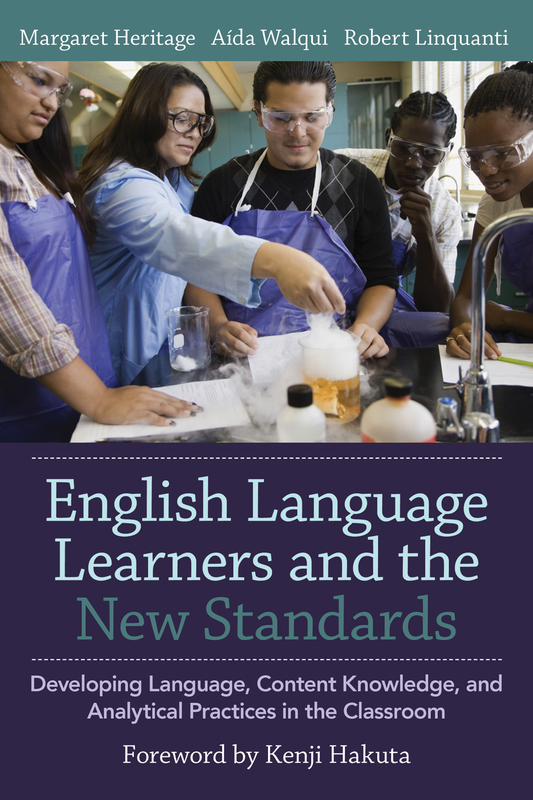 Each chapter also includes strategies for addressing the needs of English learners in the general education classroom. The regulatory practices outlined in this book have been transformational in my practice as an educator of English language learners. Bailey and Heritage skillfully interweave research, rich and annotated classroom examples, and practical suggestions for how to develop students’ self-,shared, and coregulation skills. Self-Regulation in Learning provides educators with the guidance to train students in self-assessment: to model, to provide structured opportunities for reflection, and to encourage students to take next steps to meet their own goals. 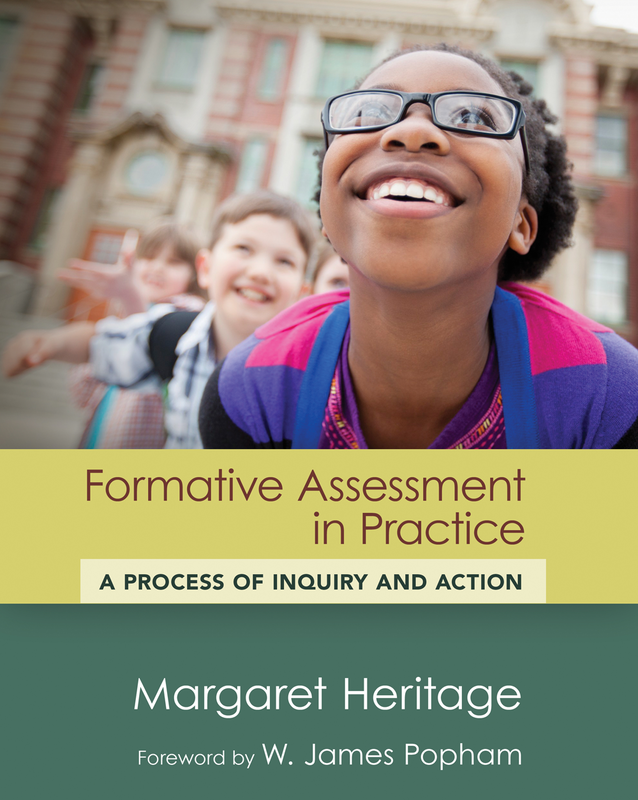 This book presents a practical guide to formative assessment as a process of "inquiry and action" essential to 21st-century learning. This resource presents a clear vision and practical suggestions for helping teachers engage English language learner students. 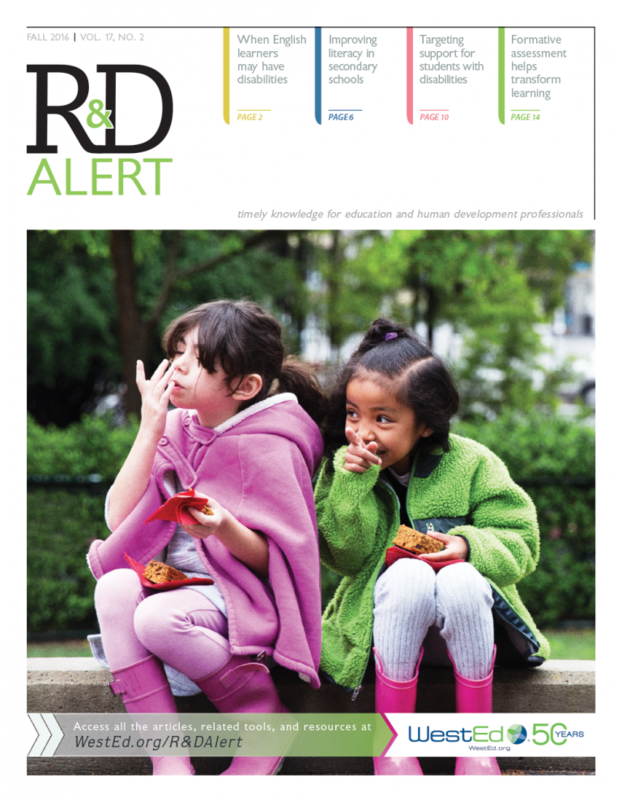 English learners and other students with disabilities, secondary school literacy, and formative assessment are highlighted in this issue of R&D Alert.